This Demonstration shows how to construct a triangle given the length of the side , the ratio of the other two sides and a line containing . 1. Draw the line and a line . On choose points and , such that . 2. Construct a triangle such that . 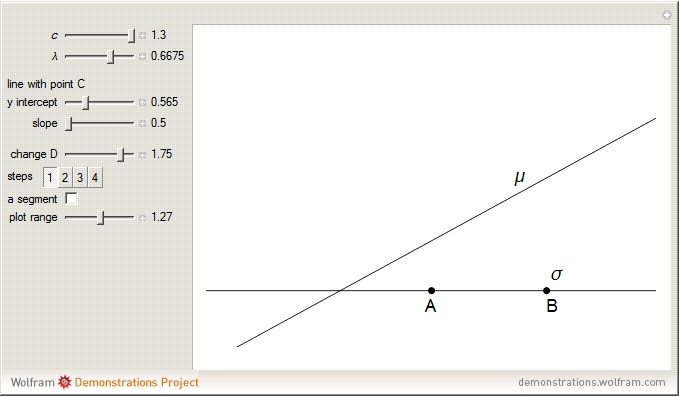 Let be the point where the angle bisector at meets . 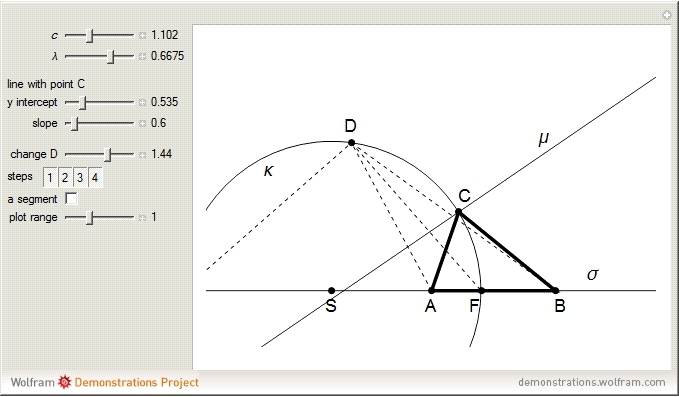 Let be the point where the angle bisector of the outer angle at meets . 3. Let be the midpoint of . Draw the circle with center and radius . 4. The point is an intersection of and . The triangles and have the same Apollonius circle. if . The radius depends only on and . E. J. Borowski and J. M. Borwein, Collins Dictionary of Mathematics, New York: HarperCollins Publishers, 1989, pp. 21–22. "32. 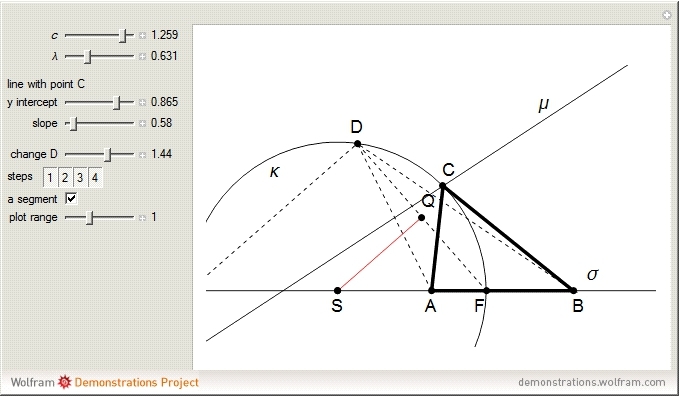 Construct a Triangle ABC Given the Length of AB, the Ratio of the Other Two Sides and a Line through C"